1. Stretch the ivy/foliage bunch by dividing into two sections and pulling leaves apart. Â Place the ivy bunch in the vase and move the wires apart as needed to the sides. Make it look even all around, leaving an open circular area in the center. 2. Shape the floral bouquets by doing the same you did to the ivy, or cut individual flower stems if you prefer. Arrange Â flowers in vase, making sure to fill all spaces; and working all around so it looks good, colorful and full from every angle. 3. 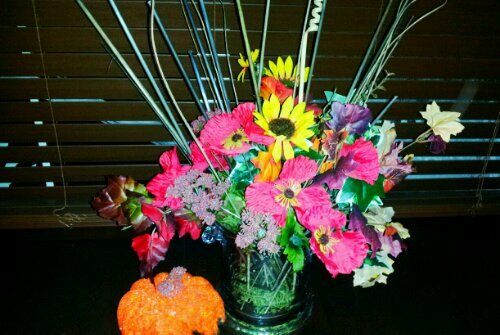 Add the decorative twigs throughout the arrangement concentrating on the top and center. Shape some of the ivy and flowers by bending a few individual wires to droop down at a 45 degree angle. 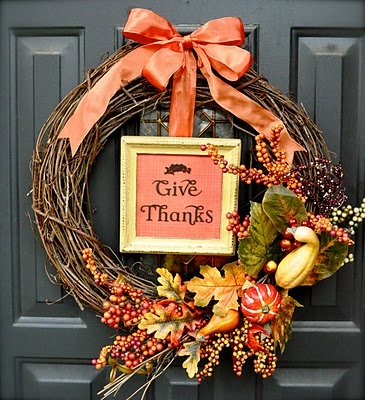 Place a fake or real pumpkin by your arrangement and sprinkle some fake maple tree leaves around arrangement if you’d like. *The $10 mark can easily be met as long as there is a dollar store or similar location near you. 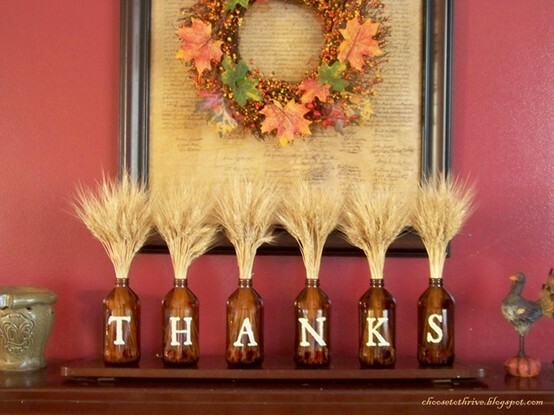 Another inexpensive decorative idea is to buy some cinnamon pine cones at your local grocery store and place them in a tall clear vase. 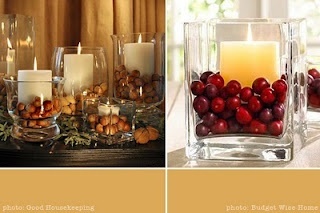 Will make your home smell good (if you are a cinnamon fan) and is a quick decorating tip. 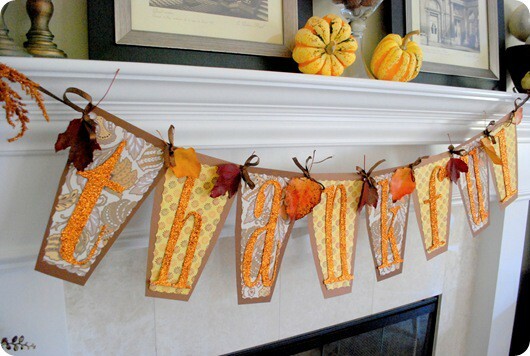 Similar to the image below, just replace the pine cones with cinnamon ones. 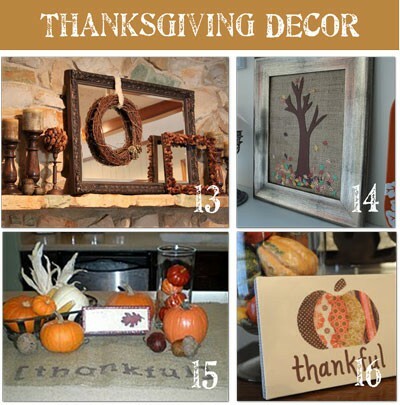 Or you can use pine cones and cinnamon sticks. Add some twigs or curly willow to the vase to add more height. You can also make a cinnamon stick candle. Pretty and inexpensive candle, and nice scent for your home. 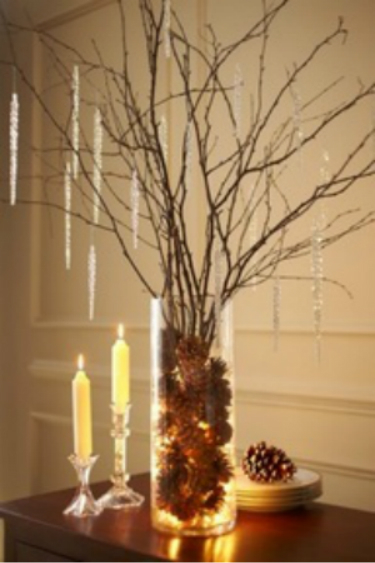 All you need is a plain large pillar candle, a bunch of cinnamon sticks, and a hot glue gun. 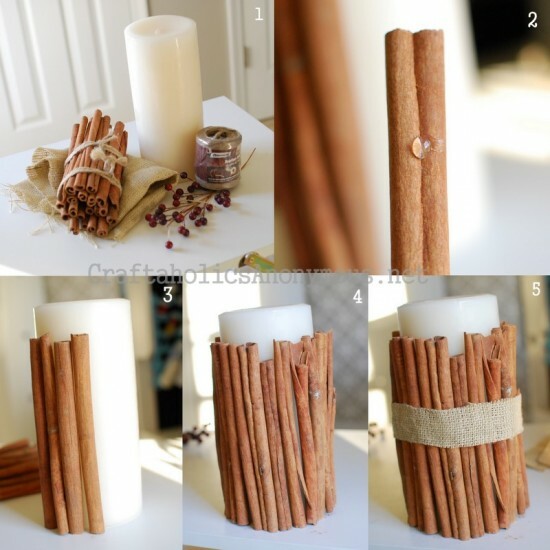 Use the hot glue to adhere the cinnamon sticks on the candle. Check out the full tutorial and tips on adding decorations to your candle by following the link below the image. When you burn the candle, the cinnamon sticks will warm up and give off their warm scent.